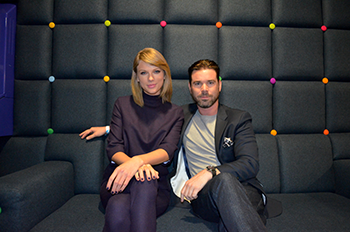 Yesterday, Dave Berry from Capital FM interviewed Taylor backstage at the London O2 Arena. They talked about her chances of winning a BRIT Award tomorrow, her friends Ed Sheeran and Sam Smith and more. The interview aired earlier this morning, so be sure to listen to the audio clip below and check out a picture from the interview in our gallery!